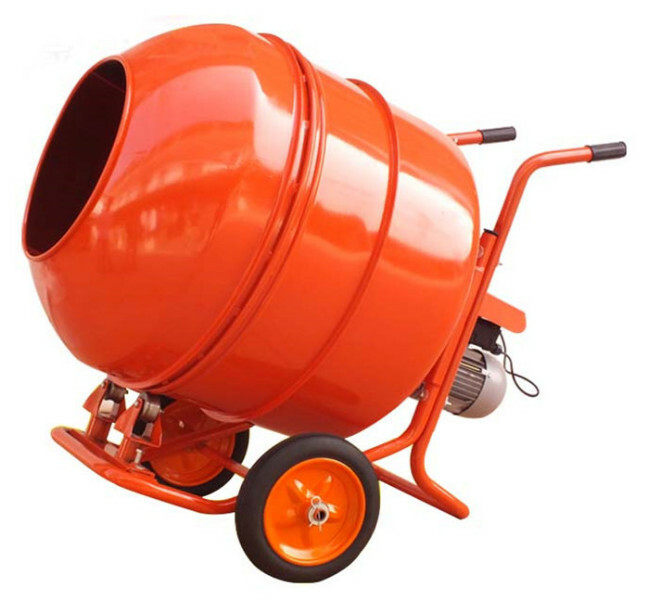 Our company mainly deals in concrete mixers, mixing trucks, mixing stations and other products. There are many types, such as JS3000, JS1000 and JS1500. Among them, JS3000 concrete mixer is a compulsory and efficient equipment, which can produce plastic, dry and hard concrete and other concrete. Beautiful shape, short mixing time, powerful power, high production efficiency, widely used in large and medium-sized construction, road and concrete products in the prefabrication plant, is the ideal equipment for the production of commercial concrete. China JS3000 concrete mixer CFR price is the manufacturer's price, fast delivery. 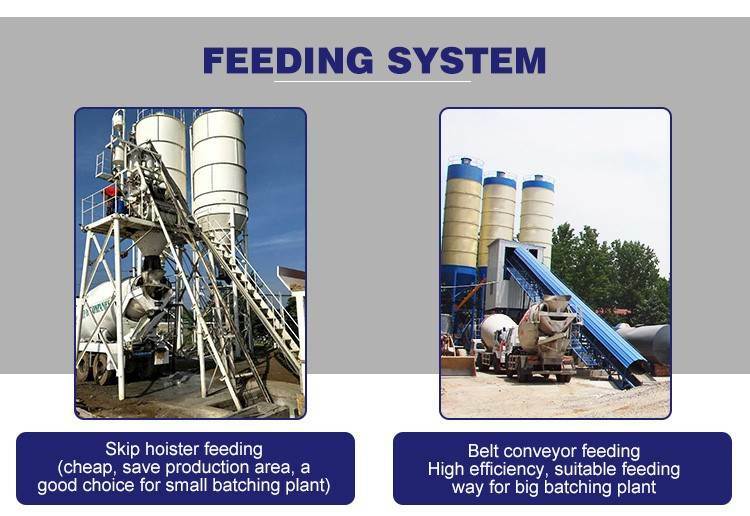 JS3000 concrete mixer discharging system is composed of discharging valve, air pump, reversing valve, air distributor, cylinder, electrical and other mechanisms. 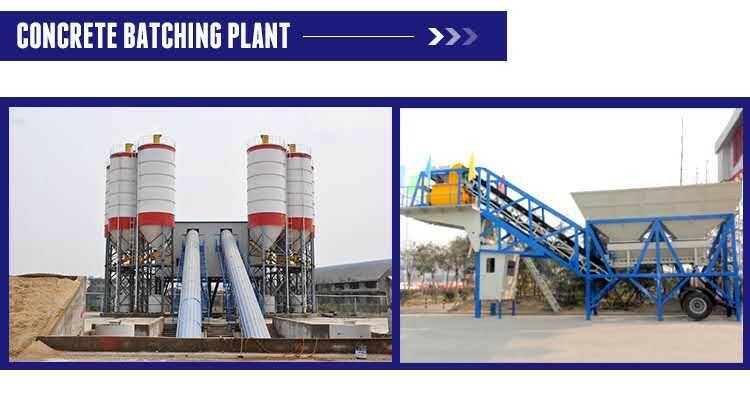 The discharging door of JS3000 concrete mixer is installed at the bottom of the mixer, and pneumatic discharging is realized through the cylinder. The opening and closing position of the unloading door can be ensured by adjusting the position of the sealing strip. JS3000 manual unloading lever is used for emergency unloading in case of temporary power failure and unloading in case of cylinder failure. It should be removed in peacetime to prevent injury. 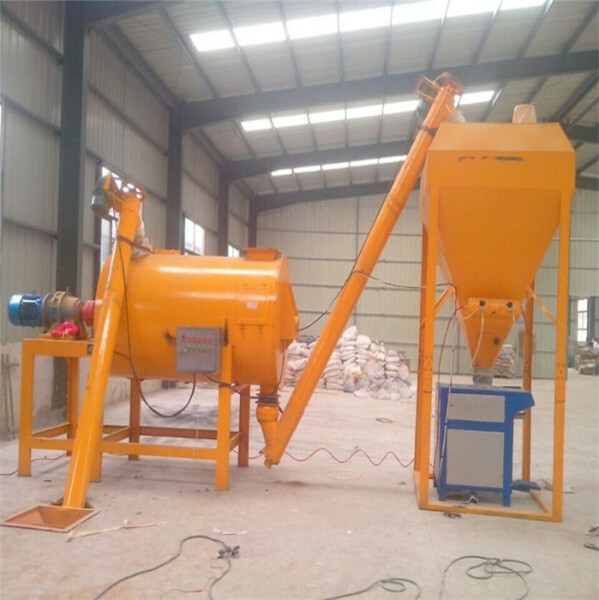 JS3000 series mixer can be combined with different types of PL series mixer to form simple concrete mixing station and double concrete mixing station. It can also be used as the main engine of mixing station. It can mix dry and hard concrete, plastic concrete, fluidity concrete, lightweight aggregate concrete and various mortars. It is suitable for various construction projects and prefabricated component factories. 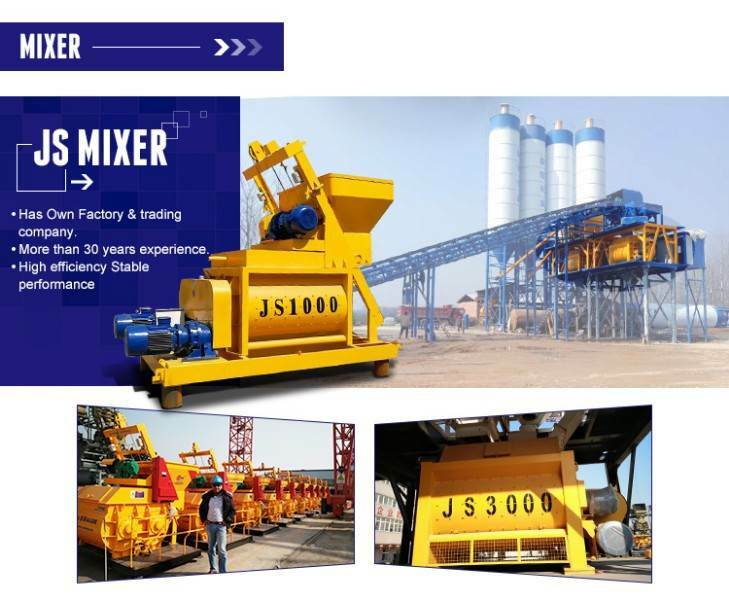 JS series single concrete mixer is a double horizontal shaft forced mixer. This series of products have JS500, JS750, JS1000, JS1500, JS2000, JS3000 and other major models.